Paper Size: 29" x 31"
You are viewing a museum quality fine-art print. THIS ITEM being sold UNFRAMED ONLY. Frame shown is for display purposes only. Each print is of the highest museum art print reproduction quality and are supplied by the world's leading art publishers and artists. These prints rival any detailed reproduction from their originals and are geared towards the discerning eye of the particular art collector. This print is perfect for any elegant home, office, restaurant or place of business. 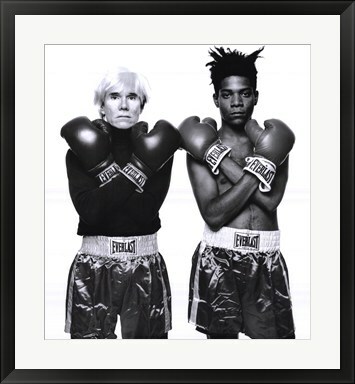 Click the button below to add the Andy Warhol and Jean Michel Basquiat - Jean-Michel Basquiat to your wish list.